Kopernik’s Domes. Image from en.vi.ki. The official word is in from Kopernik’s own Fibber Magee that the 2014 AstroFest is scheduled from Friday, October 24th to Sunday, October 26th. Last year’s AstroFest was a great three days of informative lectures, fine dining, raffle prizes, a little observing (admittedly, the weather did not accommodate much observing. That said, there were some interesting cloud patterns out), and the usual great hang with fellow amateur astronomers. 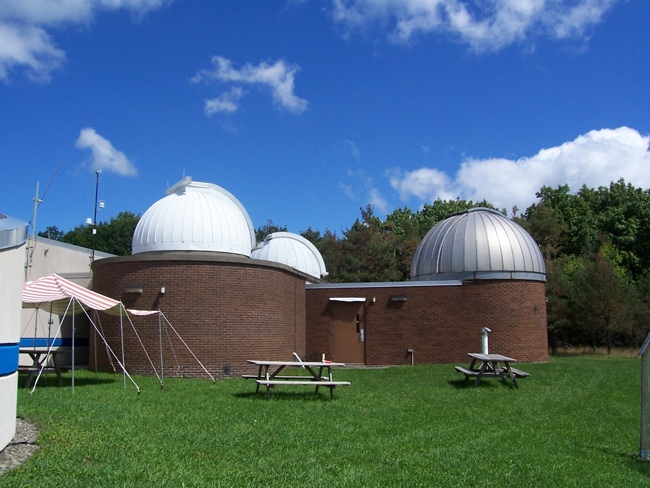 The Kopernik Facility is the envy of any amateur astronomy group and they do not disappoint as event hosts! Kopernik’s Art Cacciola leads a discussion. Image from the Owego Pennysaver. When the official announcement is sent out by Kopernik with the list of presenters and events, we’ll be sure to post that info here. For a sample of the variety of speakers and events that Kopernik hosts during their AstroFest, check out our post of last year’s announcement. Also, check out the 2013 AstroFest photo gallery on the Kopernik website at: kopernikastro.org/pg-2013-astrofest/. 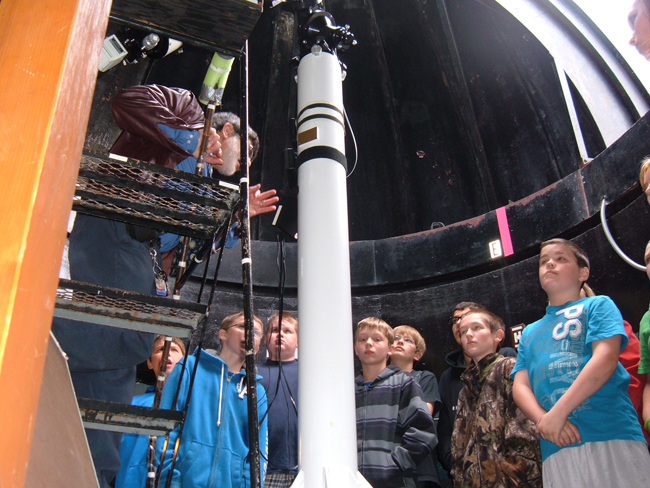 We hope you can join Kopernik (and several CNYO members) for the festivities on October!